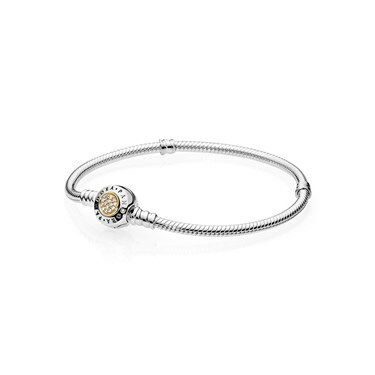 Start your PANDORA journey with this elegant new two toned PANDORA bracelet. The embellished gold detail on the clasp gives this bracelet a sense of luxury. Add silver and gold charms for an on-trend mixed metal look.